IRPI is recognized as a world leader in microgravity research and is a prolific developer of systems, devices, and experiments for drop tower, aircraft, and in-space platforms including the International Space Station. A summary of projects that IRPI has contributed to are outlined below. 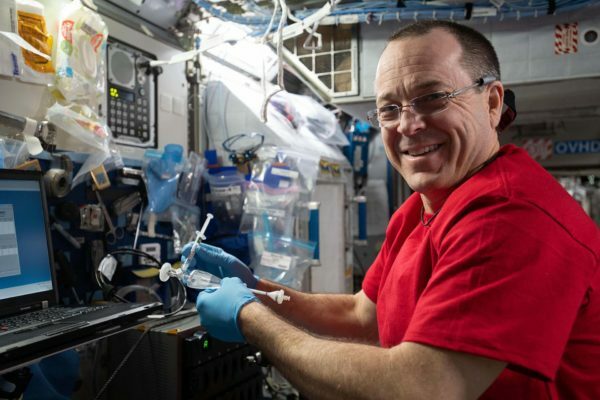 Current life-support systems on the International Space Station require special equipment to separate liquids and gases, including rotating or moving devices that could cause contamination if they break or fail. The Capillary Structures for Exploration Life Support (Capillary Structures) investigation studies a new method using structures of specific shapes to manage fluid and gas mixtures. 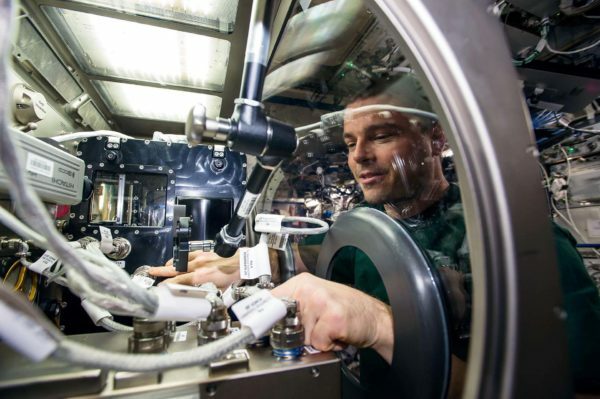 The investigation studies water recycling and carbon dioxide removal, benefiting future efforts to design lightweight, more reliable life support systems for future space missions. 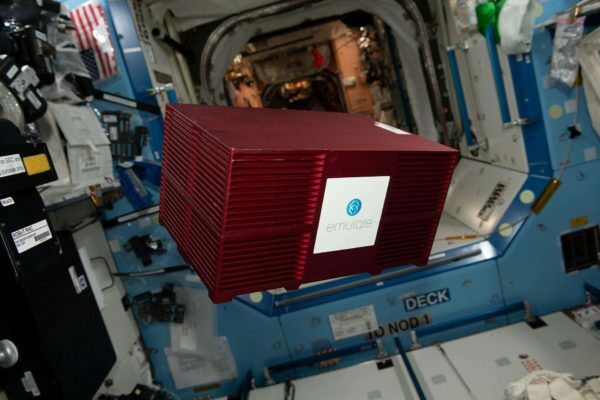 The Wet Lab RNA SmartCycler is a research platform for conducting real-time quantitative gene expression analysis aboard the International Space Station (ISS). The Passive Debubbler for the WetLab-2 Facility to Decrease Needed Crew Time (WetLab-2 Parra) investigation tests the functionality of a passive method to remove air bubbles from a liquid sample (e.g., extracted ribonucleic acid [RNA]) for dispensing. Excessive air bubbles in the sample chamber introduces noise in the data acquired during SmartCycler analysis. Liquids behave differently in space than they do on Earth, so containers that can process, hold or transport them must be designed carefully to work in microgravity. The Capillary Flow Experiment (CFE, CFE-2) furthers research on wetting, which is a liquid’s ability to spread across a surface, and its impact over large length scales in strange container shapes in microgravity environments. This work will improve our capabilities to quickly and accurately predict how related processes occur, and allow us to design better systems to process liquids aboard spacecraft (i.e., liquid fuel tanks, thermals fluids, and water processing for life support). Capillary flow is the natural wicking of fluid between narrow channels in the opposite direction of gravity. Tree roots are one example of a capillary system, drawing water up from the soil. By increasing understanding of capillary flow in the absence of gravity, the Capillary Channel Flow (CCF) experiment helps scientists find new ways to move liquids in space. Capillary systems do not require pumps or moving parts, which reduces their cost, weight and complexity. 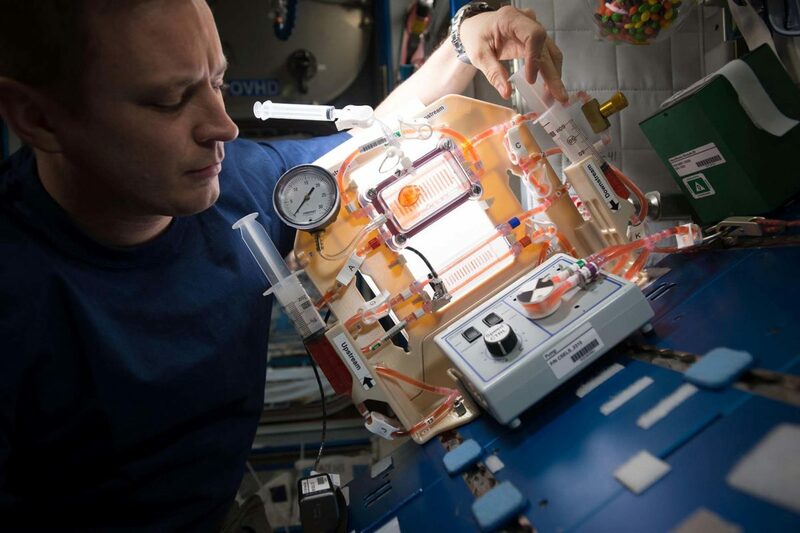 Organs-On-Chips as a Platform for Studying Effects of Microgravity on Human Physiology analyzes the effect of microgravity and other space-related stressors on the brain blood barrier. It uses fully automated tissue chip technology, a Brain-Chip, consisting of living neuronal and vascular endothelial cells in a micro-engineered environment. Results may provide insight into the relationship between inflammation and brain function and a better understanding of neurodegenerative diseases such as Alzheimer’s and Parkinson’s. Even mundane tasks like taking a drink are complicated in space, where microgravity affects the way fluids behave. Crew members must drink from special sealed bags instead of using straws or normal cups. 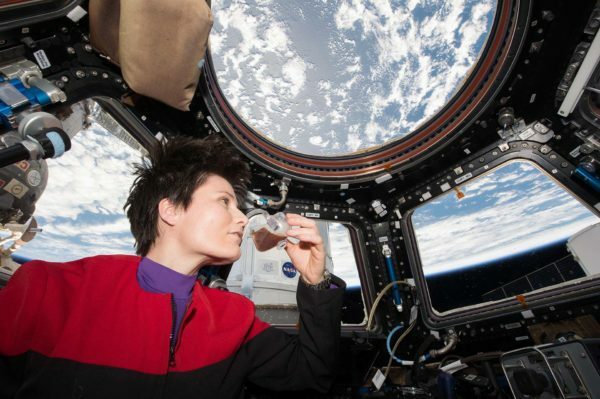 Capillary Effects of Drinking in the Microgravity Environment (Capillary Beverage) studies the process of drinking from specially designed Space Cups that use fluid dynamics to mimic the effect of gravity. 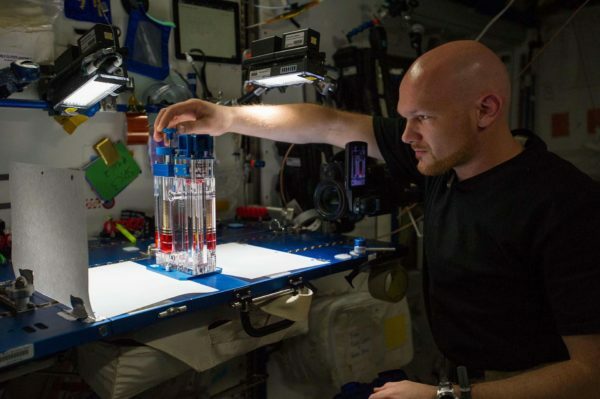 Surface Tension Containment Experiment-2 looks at increasing the ability to conduct experiments outside of gloveboxes and in the open cabin of the space station. It assesses formation and capture of microdroplets using airflow when a pipette is repeatedly inserted and withdrawn from liquid in a well plate, and tests the stability of liquid in a well plate under various conditions. Safely and effectively conducting experiments outside of gloveboxes expands the capabilities of the space station as a microgravity lab.